Although the exact cause of Rosacea is not completely understood, we do know there is a strong vascular component. Those with rosacea typically suffer from flushing, diffused facial redness and Telangiectasia, which are small, widened blood vessels on the skin. By treating the blood vessels, the vascular response is diminished. Lasers that target blood vessels work well for treating broken vessels that are visibly defined and easily traced. However, the tiny network of vessels that contribute to a more diffused redness can be hard to treat with vascular lasers. PhotoFacial IPL, a non-invasive skin treatment, uses Intense Pulsed Light (IPL), or Broad Band Light (BBL) to target brown spots as well as broken capillaries, telangiectasia and diffused redness in the skin. PhotoFacial IPL treatments are very effective for addressing the redness and flushing component of rosacea. It is important to understand that not all IPL devices are created equal because IPL devices require what is called “cut-off filters”, and different cut-off filters are needed to target different things with-in the skin. For example, the filter used to treat freckles would not be effective in treating vessels. If a PhotoFacial IPL device does not have the most appropriate cut-off filters for treating vascular concerns, then the results will be sub-optimal. This is why we have made it our goal to find the IPL device with the greatest capabilities. At our Skin Klinic, we have three IPL devices, and our newest addition has a specific dual wavelength VASCULAR filter that is exclusive to this device. For the best results, a series of treatments is recommended. It may also be recommended to combine IPL with a Vascular laser treatment for enhanced results. There is little to no downtime with this treatment and a topical anesthetic is used to numb the skin prior, for a more comfortable experience. 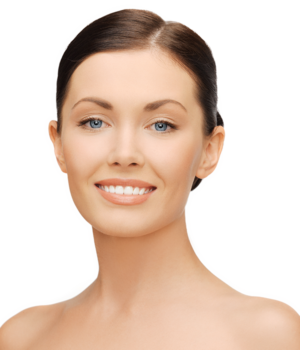 All laser treatments are technique dependent, but PhotoFacial IPL is arguably the most technique dependent. Dr. Shapiro’s team of certified medical laser technicians (CMLT) are all highly experienced veterans in the industry with no less than 16 years of laser experience. All, with extensive and advanced training in IPL and laser treatments.